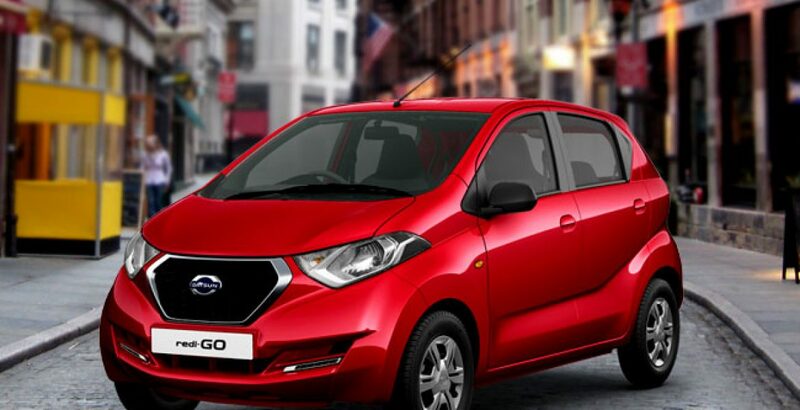 Already selling as an economical, family friendly and impressively fuel-efficient car in the neighbouring country, India, the Datsun Red-Go is expected to be launched in Pakistan. Inspired by its innovative techs and dynamics, the buyers have been patiently waiting for its launch in the country. Datsun Redi-Go 2019 price in Pakistan will be revealed after its launch. However, it is expected to be a budget-friendly car. Boasting of a sleek and energetic design, the all-new and all-fresh Redi-Go from Datsun blends the spirit of a crossover with the modern styling of a hatchback. With its high, wide stance, you get a commanding feel on the road, while maintaining the agility of a compact vehicle. The 799 cc engine of the Redi Go is a high power and high torque machine to give you an energetic ride. At the same time, it delivers an impressive fuel efficiency of over 25 kilometres per litre. 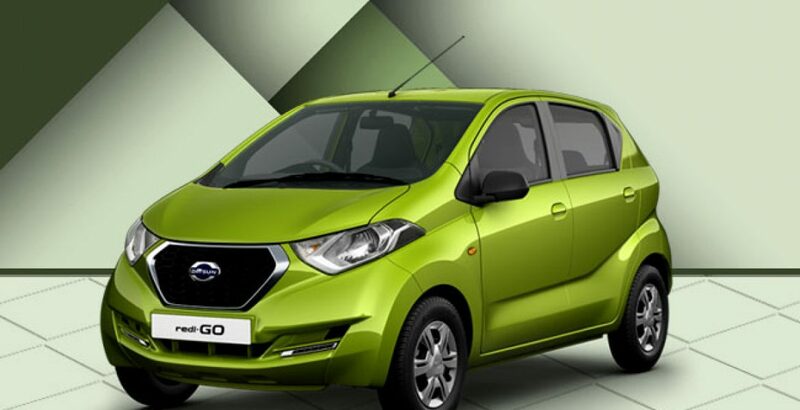 In other words, if you ever dreamt of travelling 100 kilometres in just 4 litres, the new Datsun Redi-Go 2019 makes your dream come true! You will find it great both for city commuting and road trips. In addition, as the vehicle has been designed for a variety of road conditions, it offers excellent driveability. Its high-stability suspension system guarantees a smooth, fully controlled riding experience, through sharp corners and on the rough surfaces. With its distinctive, creative and thoroughly modern design, the car sincerely reflects who you are. On the first glance, you will appreciate the sporty good looks and mart dimension of Redi-Go. 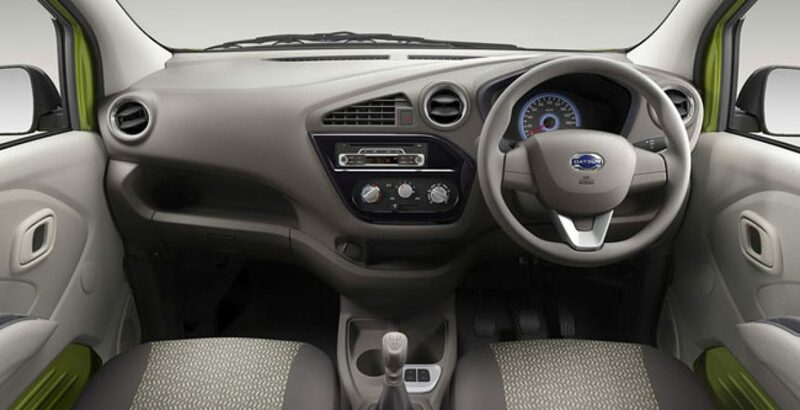 While exuding smartness and sportiness from outside, the vehicles abounds in space in its interior. In addition to a high eyepoint for the driver, there is a spacious room for all the passengers. This is what makes the car both smart and stylish. On the front grille, you will come across sleek horizontal lines that combine with the strong D-shaped contours of the metal bars to exhibit the spirit of Datsun in the contemporary way. The solidity of the body form and construction gets reinforced by the dynamic character lines, running from the front to the back. There is a generous boot space of 222 litres for the storage of all your luggage including the larger items. Meanwhile, the available space gets doubled if you fold the rear seats. It is perfect for luggage, cricket equipment and any other bulky items. The height of 1541 mm renders Redi-Go a tall boy stance which means the passengers sit higher. At the same time, the driver gets a commanding view of the road ahead. Such a design also provides clearance over low obstacles on the road. The smart technologies and features of the car take you into the new world of economical yet comfortable touring with all your family member and the luggage. You get a feel of redefined modernity, sophistication and luxury. It has got a mobile docking system which gives you access to your smartphone while keeping your hands free. You can take calls, recharge your phone and listen to playlists or internet radio in a hassle-free manner, so you can fully concentrate and keep your eyes on the road. The efficient air conditioning system of Datsun Red-Go makes you feel extremely comfortable by intelligently maintaining the temperature just how you like it. Meanwhile, making use of different controls and levels of intensity, you can direct the air conditioner to different areas in the car. The low-fatigue seats is another distinguishing and worth-loving feature of Redi-Go. These seats have been engineered to relieve pressure and provide added comfort on long and tiresome drives. The seat bolsters give you excellent back support and the lumbar support improves driving posture for a healthy back and neck. In short, the Redi-Go is a tech-rich for a tasteful yet safe travelling.